This five- year program produces rabbis and poskim for Israel. Upon completing the rigorous course of study and passing all required examinations, candidates receive ordination both from the Joseph and Gwendolyn Straus Rabbinical Seminary as well as from the Israeli Chief Rabbinate. In keeping with the OTS philosophy that contemporary rabbis must be equally fluent in secular learning as well as Talmud and as immersed in contemporary concerns as in Jewish law and legal texts, all participants are required to take courses in the Robert M Beren College at least toward a BA degree, with the option of continuing on for a Masters. These secular studies focus upon the humanities in an interdisciplinary fashion, with an emphasis on world intellectual history and Jewish intellectual history. The study of modern responsa literature is also mandatory, especially in areas of scientific advancements, medical ethics, gender studies, and interface between secular and religious worlds. The seminary teaches these subjects on a high intellectual level, with an openness that allows for self-expression and individual thinking. Students are taught to analyze texts and are encouraged to express their thoughts, opinions, and questions, while striving towards deeper levels of understanding. Most importantly, students learn how to arrive at an halachic decision independently, taking into account the many attitudinal factors which enter into the process, such as evolution of the law, other precedents, modernity, compassion, and a genuine desire to improve society. 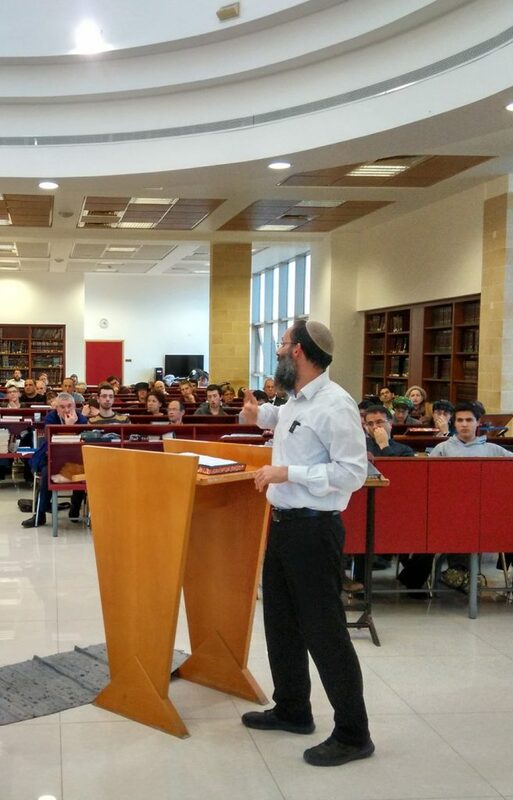 Finally, all rabbinical students in this kollel are required to have served in the Israel Defense Forces.